When you are rude or Rough gems from killing Monsters, but only tribes Human rough gemstones can only be processed in order to be valid. The GIA Gem or tribal Human rough gemstones have to buy food processing equipment (Grafting Kit) from NPC Human Mechaics Merchant City Lost Realm Castle before it can be processed rough gemstones. 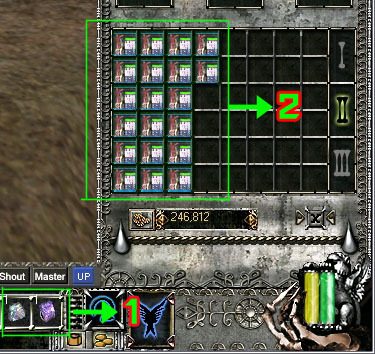 The skill required for the grinding of tribal jewelery Human. The grinding stones, raw skills to be a gem. The more skills, the higher the chances of success are much farm even more. - To up the level of your skills up to level 25. - Opportunities for Success: 5- 95%. How do the polishing rough gemstones. You have to put it in the glove compartment of the Rough Gems (Quick Slot) . Then purchase Gems Cutting Kit comes before [Figure 2]. Processed gems by pressing the quick slot rough gemstones inserted. When you are finished You will see a message saying "Privatization is done!" When you make changes to a rough gemstones gems processing and can be used to upgrade items at all.